What’s the Right Way to Do a Gemba Walk? From time to time people ask me a variation of the question, “What’s the right way to do a gemba walk?” They want to see an outline of activities, a step-by-step process for planning, taking the walk and reflecting on it. I feel this somewhat misses the heart of the issue. The gemba walk is intended to connect the facts on the ground with the people who have both the interest and influence in better outcomes. The gemba is a point in time and space where we can observe these facts being created. The gemba could be here and now. It could be anywhere at any time. The gemba walk is not necessary when each of us is locally empowered to act to improve outcomes based on facts we can access, and when leaders don’t make decisions that are contrary to the facts. 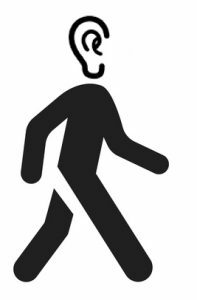 The need to walk assumes that the people who are empowered to influence outcomes reside at some distance from the gemba for some reason. This could be low awareness, lack of true interest better outcomes, or mistaking distance from reality with status. The coach who stays with the team on the practice field, in the training room and the field on game day can observe the team with an eye for improvement. This coach does not need to do a gemba walk. Does this suggest that the gemba, or place where we can observe the creation of facts, is the most important part of a gemba walk? Surprisingly, it is not. The gemba is optional. Access to the facts is the most important thing. If we are able to observe remotely and retrieve facts from the gemba free from bias and without loss or degradation of information, why not do so? Unfortunately experience shows that information transfer between humans and across organizations is far from lossless. Going to gemba may be not a useful activity if the information needed can’t be gained there. Without a clear image of how things should be, the gemba walk will not yield meaningful observations. If people don’t trust the gemba walker, the facts may be hidden. When causes of a problem are unknown, when the problem phenomenon cannot be directly observed, or when engaging in scientific research or invention of a new product or service, we may have no place where can go to observe useful facts about these challenges. In these cases, we create facts through fundamental research and experimentation, trying possible countermeasures to problems, testing user reaction to minimally viable products. Walking into observe an experiment in process may or may not tell us about how well a lab is run, or about the result of the experiment. Could it be that walking is the most important aspect of the gemba walk? We are warned that sitting for hours per day is very bad for our health. Studies have suggested that walking improves our creative thinking, such as generating ideas. This is true whether we are walking on a treadmill or through a park, suggesting that scenery and fresh air are not the key factors. The same study suggested that walking did not help with focused thinking such as that required to select a single correct answer. In fact, walking even slightly worsened these results. Why this is so, we don’t yet know. It may be that any form of exercise will have these effects. The walk may just be nothing more than how we get out of our chair to where the facts are created. 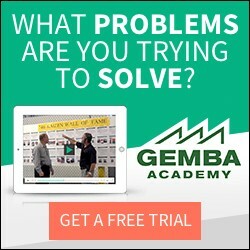 People who seek out step-by-step directions want to know how to observe, what type of questions to ask and how to define a successful gemba walk. They want to make the best of their precious time. Often the structure of a gemba walk and the logic of how it fits into lean management system helps to persuade the influencer to give it a try. The gemba walk how-to guide has its merits. But we need to be careful. Gemba walk templates, observation points, and sample questions can appear formal, audit-like, creating distance between the observer and the observed. We should worry less about doing the gemba walk the right way and focus more on doing the right thing by people. This means treating people as individuals and showing them respect. This means taking a genuine interest in person in front of us, in how they see reality and and learning how they wish to influence outcomes in their lives and work. Ultimately, the gemba walk is not about the gemba or the walk. It is all about the humble listen. Well said. Both “treating people as individuals and showing them respect” and “learning how they wish to influence outcomes in their lives and work” are very important. I also think one of the keys that makes gemba walks valuable is for the person doing the walk truly seeking to learn; a curiosity about the nature of the work at this particular gemba seems present in those that make it a valuable process (that curiosity continues and grows it isn’t satisfied on a walk instead it is stoked to encourage more learning). According with my short experience, key milestones for Gemba are: 1. Observe (standing in the Circle), 2. before try to learn, try to help or support. 3. Be honest, kind and let people feel comfortable, not evaluated or questioned. 4. Come back in the short term with results or feedback about agreements or commintments. 5. Keep always the purpose of your gemba in mind, not for you, but for people involved. Warm Regards. We must caution against morphing gemba walks into nothing more than MBWA (management by walking around). What is the difference? MBWA is typically walking through a random area to see what’s going on. This is particularly ineffective is the “walker” does not have a specific purpose in mind. The Lean Management System tells us as leader standard work to go to the gemba – but why? We go to the gemba to practice purposeful presence on the floor. What is that? It is to engage the staff doing the work in meaningful conversation about thee purpose of their process, how do they know they are doing a good job, what gets in the way of doing a good job and what can we do about that? This is a great point, especially since one of the key points of a Gemba walk is to observe without preconceived notions and without bias. When a document is created, this tends to create bias and preconceived notions, which may or may not lead the observer to arrive at conclusions that are not necessarily accurate or which seek to place blame.